Have you heard of soundjack before? They’re an app on the App Store that can be used to take over control of the music playing in any venue that has an integrated HireJukebox or other related jukebox installed! Through installing the soundjack app and queuing your favourite songs to be played over the venue’s sound system, you’ll never again have to leave your seat to manage the music you want to hear – now that calls for another drink! The importance of allowing the consumer to take control of music in a venue such as a pub is key. With pubs being a place of community, carefree entertainment and charisma, people should be free to express themselves through the full control of the music the pub jukebox is playing. Not only will it retain people to stick around longer when they’re in control, but it will too enhance an individual’s experience of the place, ensuring they bring an extra friend along with them next time. With the soundjack app, control of the music couldn’t be any easier. The need to scroll repeatedly through a music library and continually selecting songs is removed as finding the right song for you is made efficient and effective through your mobile device, with playlists made available for venue-owners too. Whether you require top 40 hits or something more punk, the likes of new releases and chart music can be searched and played straight from the UK Chart – with a well-defined search tool to help you find that specific punk song you were looking for. For your venue to allow your pub-goers to manage the music taste that will be played out throughout your building, you’ll create a whole new level of trust with your pubbing regulars upon them controlling the vibe, assuring that your pub will be their favourite. With back-end options to limit the sort of music that can be played, to help best align with a venue’s theme or to exclude explicit tunes, venue owners can be sure that the music choice won’t harm anyone’s in-venue experience. To add to the excitement, the soundjack app is also completely free to download, with the only purchases being the charge of playing the songs in the venue after your free song credits have been used up. Pubs can make their fair share of profit through direct revenue advertising on the app, advertising between tracks and through users paying to bump up their song nearer in the queue. The regular revenue stream of pay to play music is too offered. When a pub-goer decides upon their song to play or they hear a song that they quite like – the soundjack app will allow them to share and promote both the song and the business through integrations between the app and social media sites such as Facebook and Twitter. Not only will this bring free promotion to the company, possibly bringing more people through the pub doors, but will also increase brand awareness of your business and magic of the soundjack app. 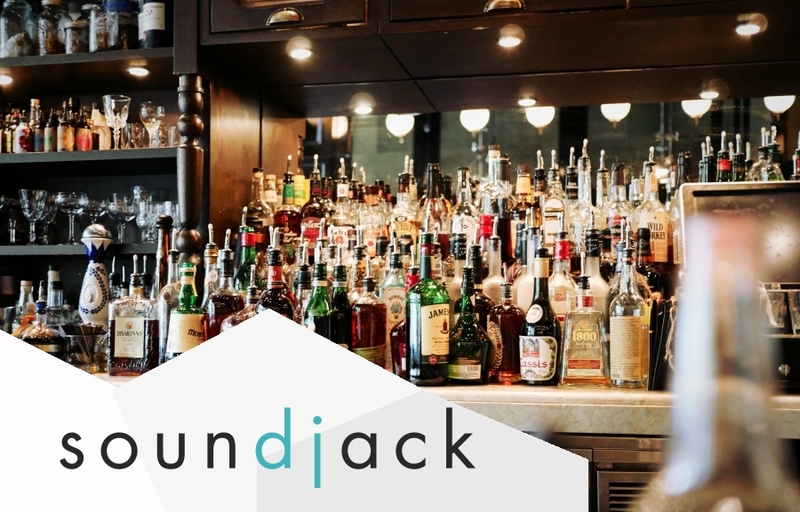 So be sure to check out soundjack for pubs and bars and enhance yourself into a world of vibe customisation and music playlist curation.